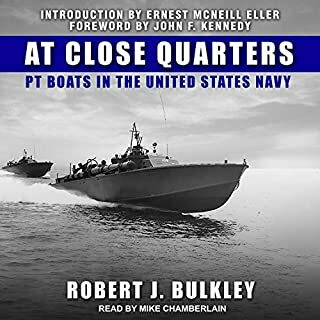 Small though they were, PT boats played a key role in World War II, carrying out an astonishing variety of missions where fast, versatile, and strongly armed vessels were needed. Called "weapons of opportunity", they met the enemy at closer quarters and with greater frequency than any other type of surface craft. Among the most famous PT commanders was John F. Kennedy, whose courageous actions in the Pacific are now well known to the American public. Darting back and forth across the icy North Atlantic, Compass Rose played a deadly cat-and-mouse game with packs of German U-boats lying in wait beneath the ocean waves. 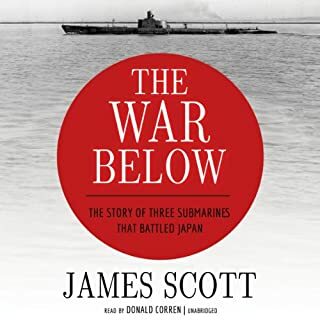 Packed with tension and vivid descriptions of agonizing U-boat hunts, this tale of the most bitter and chilling campaign of the war tells of ordinary men who had to master their own fears before they could face a brutal menace - one that would strike without warning from the deep. 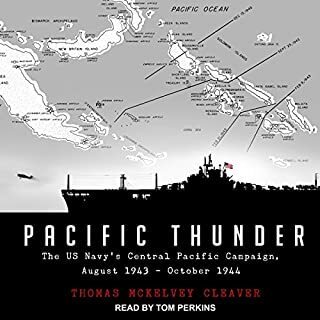 The book focuses on four naval commanders, two American, two Japanese, whose lives collided at the Battle of Leyte Gulf in October 1944 - a clash involving more ships (almost 300), more men (nearly 200,000) and covering a larger area (more than 100 thousand square miles, roughly the size of the British Isles) than any naval battle in recorded history. Amazing but heartbreaking and sad. In mid-1943, Snelling Robinson joined the crew of the Fletcher class destroyer USS Cotten as a newly commissioned ensign. The Cotten sailed to Pearl Harbor in time to join the Fifth Fleet. Under the command of Admiral Raymond Spruance, the Fifth Fleet participated in the invasions of Tarawa and Iwo Jima and several naval battles in the Philippine Sea and the Leyte Gulf. Robinson writes from the perspective of a young naval officer and integrates this with the background of the larger conflict, including the politics of command. Already read the print version once. Now listening to the audio book. The first person narration makes it an even more enjoyable experience and I can be doing other things at the same time. The author served aboard the Destroyer USS Cotten in WW 2. (Ship named after a Navy Captain, not the plant ) The Cotten was a Fletcher-class destroyer, built in 1943. It’s purpose was to protect America’s new carriers from Japanese aircraft and submarines. This is a well written and fascinating story of his three years aboard the ship. Robinson and the Cotten survived some of the greatest and bloodiest naval battles in history -- the forcible amphibious assault landings at Tarawa, Saipan, and Iwo Jima, and the enormous fleet engagements in the Philippine Sea and Leyte Gulf. I've read quite a few such books but, in my opinion, this is the best of the lot, written by someone who was actually there. 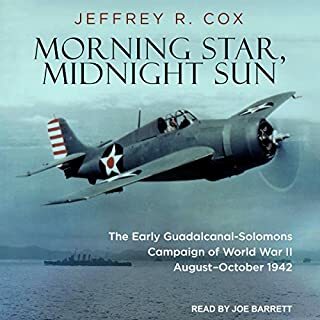 To quote another review of the printed version, “Few authentic veterans have ever done a better job portraying life at sea on a small man-of-war. His narrative is crisp, informative, authoritative.” I heartily agree. I think this book should become required reading for any future naval officer, if it isn't already. There were many of them. The scenes where they were trying to deal with the Kamikaze pilots were especially riveting. 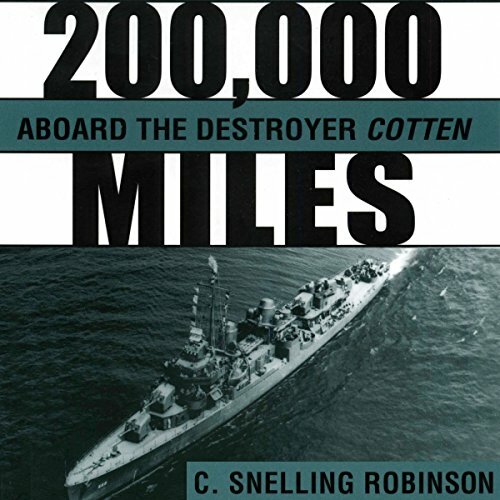 Who was the most memorable character of 200,000 Miles aboard the Destroyer Cotten and why? The author and, of course the Cotten. I read the print version some time ago and am now in the middle of the audiobook. I am taking a brief pause to write this review. The narrator is doing an excellent job and, thank goodness, is familiar with Navy terminology. 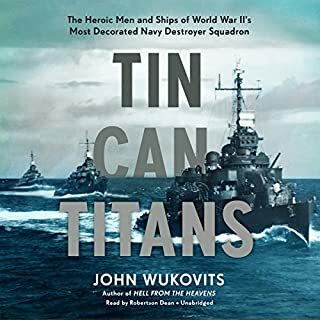 Little things like saying “zero-eight hundred” for the time, instead of the Army way of “Oh-eight hundred hours.” Things like this and the correct pronunciation of the many areas the ship visits, is making it obvious the publisher and the narrator took the time to make an excellent print book into an equally excellent audio book. Highly recommended. I'm a bit of a World War 2 buff and have read many first person accounts. Some are good. Some are mediocre and some poorly written. This one is good – in fact one of the best I've come across. The book is an honest, personal recollection of the way things were during the author’s tour of duty during the latter part of World War 2. It shows both the good and the bad of being aboard such a Destroyer. In addition to the many battle scenes and tactical descriptions, I liked the way Robinson expressed his opinions honestly, the two biggest examples being his obvious contempt for “higher ups” who were quite lauded at the time, in particular Admiral Halsey and General MacArthur. As he saw it, they both seemed more interested in their own glory than efficiently getting the job done and often put soldiers and sailors in danger when it was not necessary. 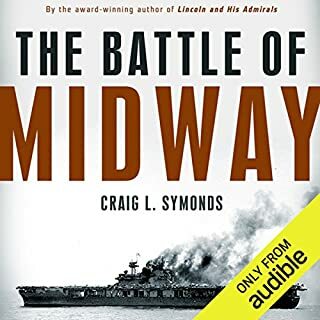 In hindsight, history now seems to back his opinions.Robinson managed to incorporate history, geopolitics, and strategy into his descriptions of fleet-level movements and battles and all this was well balanced with the more individual-level narrative. Something else I liked about the book was that the quality of the writing is quite good, much better than average for this sort of personal memoir. The narration is quite good. The reader takes a “back seat” and lets the story tell itself. It’s read intelligently but without over dramatization. I like this style of narration but some may not. I suggest you listen to the sample. I really enjoyed the section on the post-war occupation, especially the tales about the visits to geisha houses. This may not have been politically correct but it was certainly honest and refreshing. Robinson was a very young man at the time, but his attitude toward his duty and attitude toward the Japanese during the occupation was very mature. All in all a refreshing and honest first person account. Five stars to both the book and the narration. What made the experience of listening to 200,000 Miles aboard the Destroyer Cotten the most enjoyable? To experience what it was like to be on a Destroyer during WW II was an incredible experience. Learned a lot about tactics used, the heroism needed to succeed and...what the common sailors thought of the men in charge. Can't think of any that compares with this. Great pacing. Very clear. Good voice. Helped to bring out the drama when needed but without overdoing it...just let the story tell itself. My vision isn't what it used to be. Audiobooks are the way to go for me know. My husband was in the Navy during the war but never talked about it much. This is a bit like a wonderful look into his past. Both...laughter mostly at the end during the occupation. Boys will be boys, I suppose. I enjoyed this book immensely. One of the little perks about getting old is I'll probably forget most of it in a few months, and then can enjoy it again! The occupation of Japan. Great way to end the book. Showed the the "real people" of Japan were quite nice...and peaceful. Unfortunately their crazed leaders caused such incredible tragedy. And the visits to the Geisha houses certainly showed the human side of young men being well...young men. Felt like I was listening to the story first hand..from the author himself. Very good grasp of Navy terminology. Excellent job overall. Title sounds fine to me.